Exquisite Condo in the exclusive Enclave at DTC neighborhood. Home has been well-maintained and has a plethora of upgrades hard to come by in these older condos. Spacious living room with custom mantle and fireplace has complete visibility from front door to kitchen. 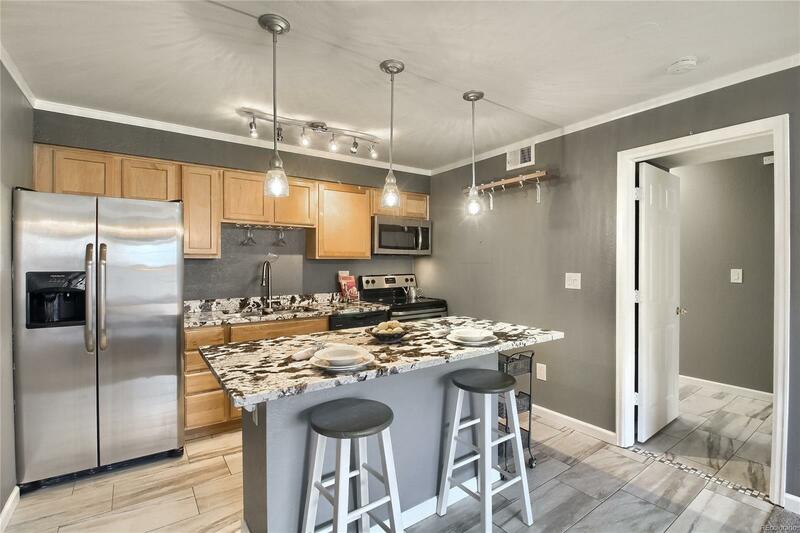 Kitchen has stainless steel appliances, granite counters, tons of storage & an incredible island for an eat-in option. Tile throughout kitchen, master suite entry & bathroom allows for easy cleanup of heavy trafficked area. Master bedroom has large sleeping quarters, walk-in closet & a private entrance to covered deck. Laundry closet equipped with stacked washer dryer near walk-in closet and bathroom. En-suite has over sized vanity including make-up vanity, granite counters & upgraded fixtures & a spa inspired bathtub/shower room. Don't forget you are minutes from The Village Center Light Rail station and I-25 access, Tommy Davis Park, shopping, restaurants &the heart of the Denver Tech Center!